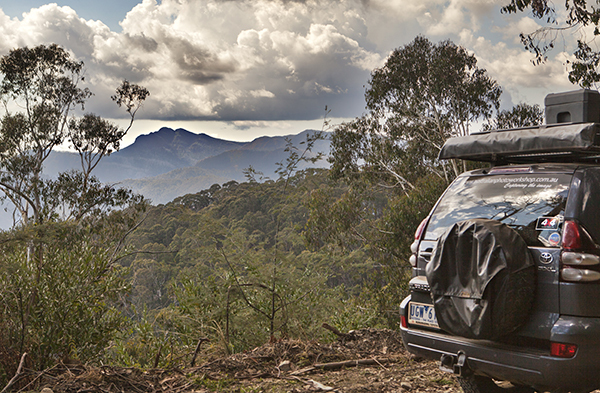 Leaving civilisation behind at Mansfield, Vic, and heading east towards the mountains, a three-day trek to the King and Howqua valleys provides a refreshing weekend escape from Melbourne with some great offroad driving. 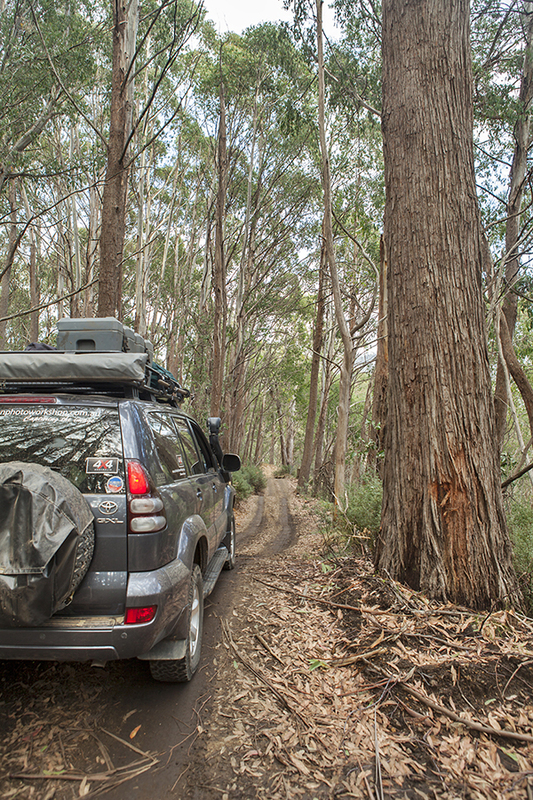 It’s definite 4WD territory. Only take your camper if it’s a lightweight, high clearance rig; otherwise, leave it behind and go for it. After de-icing our frozen vehicles and airing down our tyres at Merrijig, we headed for the hills via Buttercup Road, Greenways Road, Buttercup Jeep Track and Carters Road. These tracks were in good condition, apart from the occasional rocky section, but it wouldn’t have challenged any standard 4WD. The cold morning air was crystal clear and, as we climbed higher into the mountain ranges, the views increased in beauty. 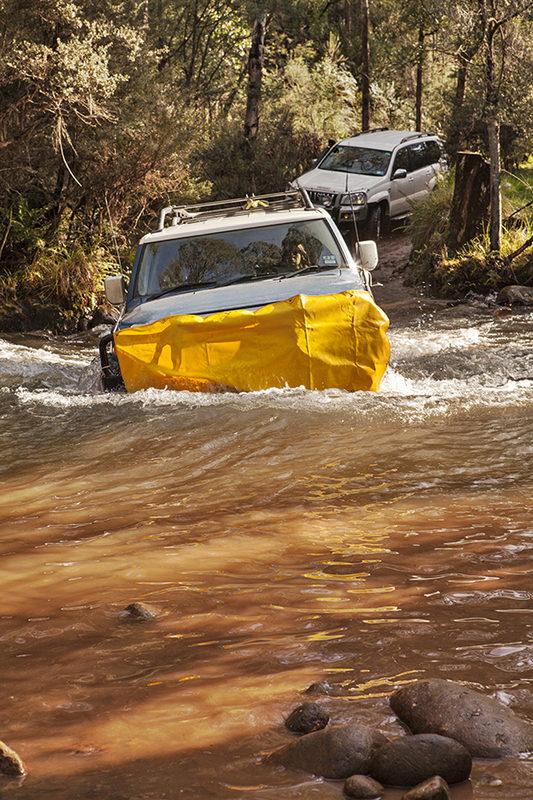 After morning tea at Tomahawk Hut, it was on to Pineapple Flat via No 3 Road, Weston Track, and King Basin Road, where we splashed through the King River with unabashed enthusiasm. There had been rain a few days previously and the river was a little higher than usual. It only came to the top of our wheel rims, but a few in our group found they should have closed their windows as water sloshed up and over bonnets and windscreens. Clear Hills Track is a more serious 4WD proposition. 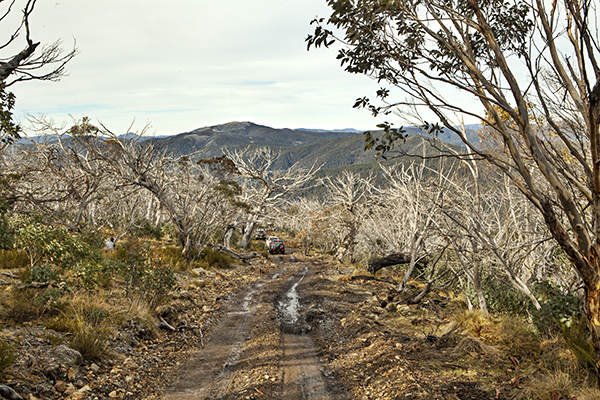 Generally an easy drive, there are occasional rough rocky sections and short steep climbs and descents until arrival at Howqua Gap on Circuit Road. 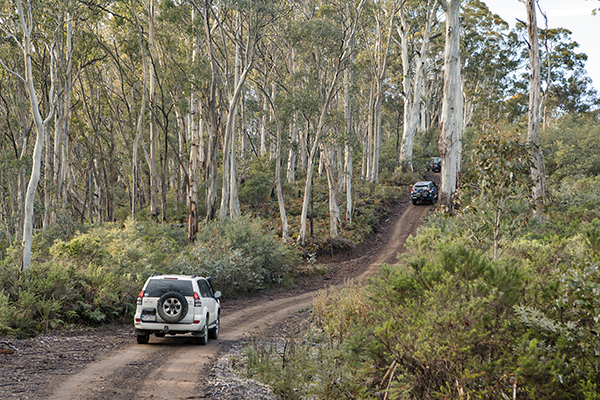 The condition of this track varies dramatically from year to year but it’s unlikely to challenge anyone with basic 4WD experience. Sunday saw us on the Howqua Track into Sheepyard Flat. From there Brocks Road, Bluff Link Track and Bluff Track took us to Bluff Hut at the top of the long climb up from the Howqua River far below. 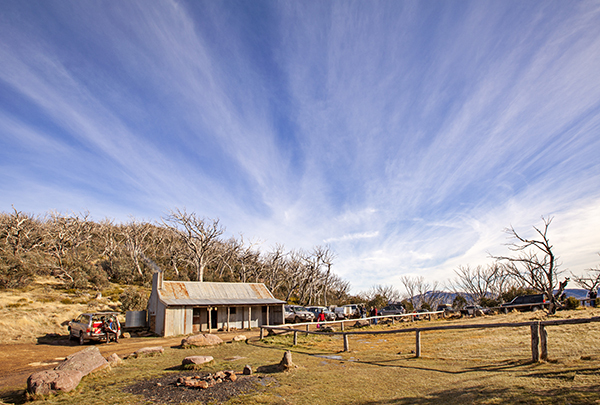 Bluff Hut was originally used by the Stoney family as a base for their mountain cattle run and horse riding tour business. Large increases in liability insurance premiums for their horse riding activities, and moves to evict cattle from the national park, saw the Stoneys move their activities from the High Country in 2002. 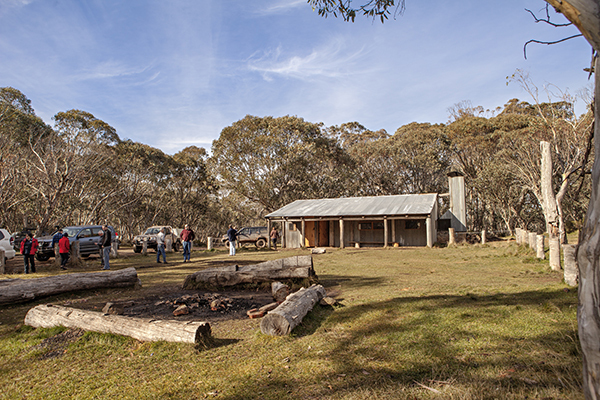 Bluff Hut was, unfortunately, destroyed by bushfire in 2006 before being rebuilt by Parks Victoria. From Bluff Hut, we continued on to Lovick Hut, another hut originally built by mountain cattlemen. Like the Stoneys, the Lovicks also ran horse riding tours, something they still do today at their property in Merrijig. 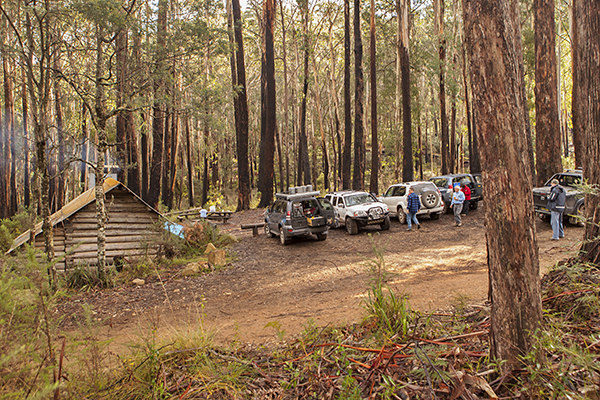 While Lovick Hut escaped the bushfires, it eventually succumbed to age and, in 2012, was rebuilt. Interestingly, the Lovicks supplied the horses that appeared in The Man from Snowy River, which was produced by a close relative of the family, Geoff Burrowes. Our return journey in the afternoon was by way of Brocks Road, a much easier drive than the rutted, rocky Bluff Track we had just left behind. 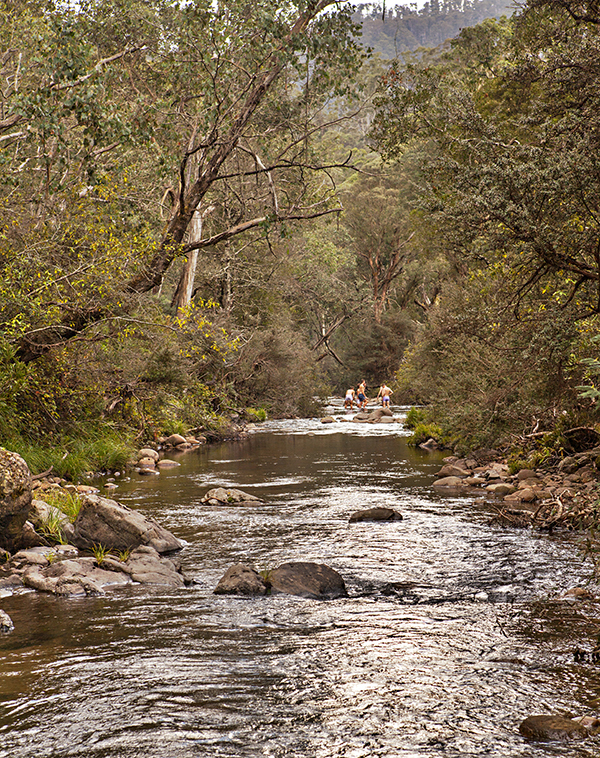 Brocks Road wound gently down a ridge line through stands of tall mountain ash and tree-fern-lined valleys. Not far past the bridge over Jamieson River on the valley floor, a side track leads to Upper Jamieson Hut. The hut access involves a long, steep, muddy descent from the main road, so care is required if the track is wet. However, the rocky base under the slush provided enough grip for our tyres to keep everything under control. 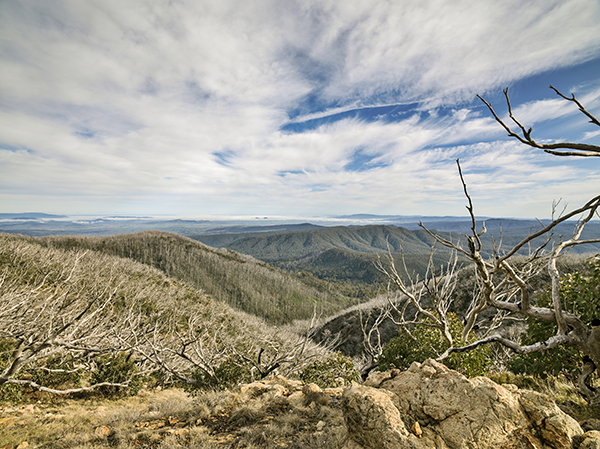 From here, on your return to Melbourne, via Jamieson which sits 57km south of the current location, it’s a simple drive along Eildon-Jamieson Road before throwing the vehicle into 4WD mode again for Mt Terrible Track. 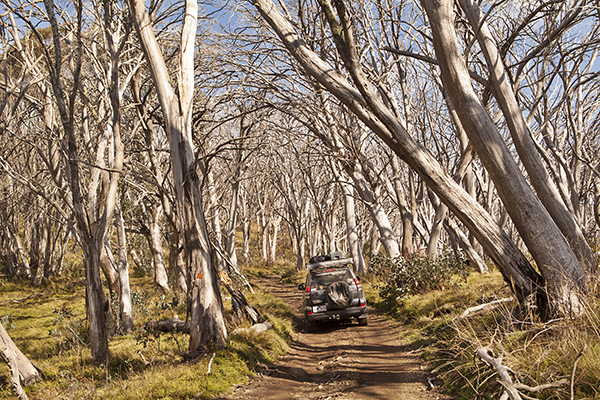 The name is a bit of a misnomer as this track is anything but terrible – it’s generally an easy and picturesque drive through tall gums that follows a ridge with a number of peaks in its spine. While the main track skirts around these steeper sections, a side track goes straight up and over each one. The thrill-seekers will be more likely to take the direct route while those who have had enough driving by this point at least have the option for an easier drive. 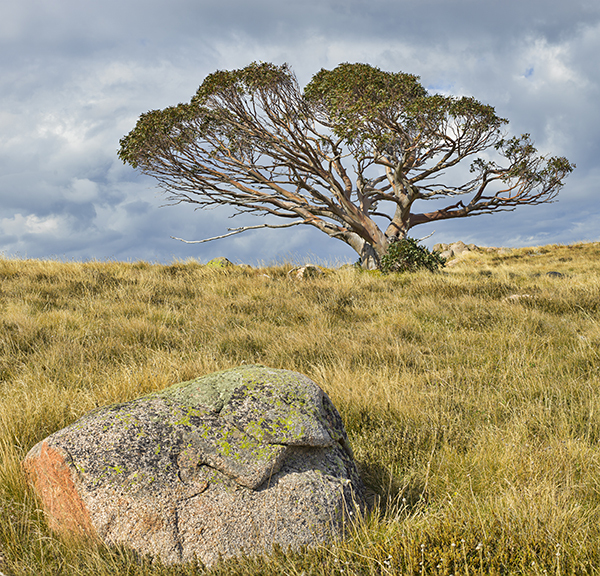 Free camping is available just about everywhere in the Vic High Country and many designated camping areas have fire rings and toilet facilities. 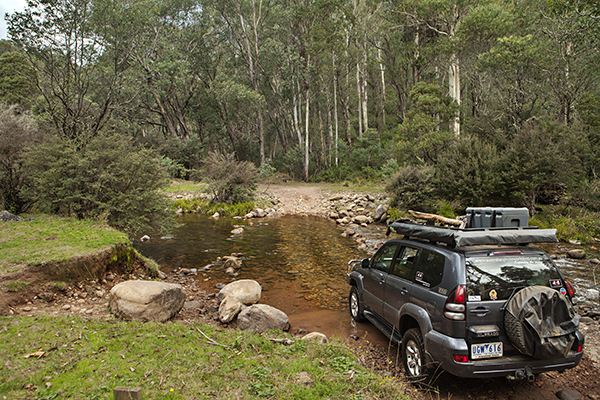 Campers need to be totally self-reliant as the nearest town for supplies is Mansfield, 35km from Sheepyard Flat. 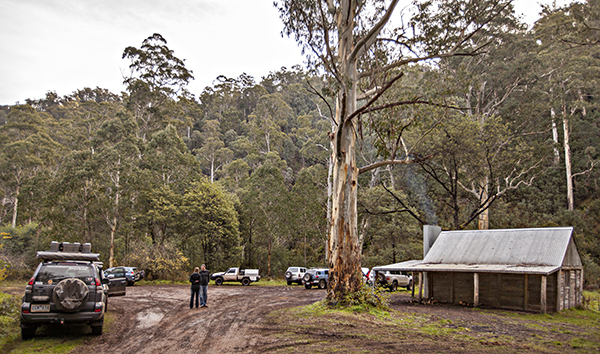 Mansfield is 190km by road (two hours) north of Melbourne via the Maroondah Highway. Merrijig is a further 20km to the east. Phone the Department of Environment & Primary Industry, Mansfield on (03) 5733 1200 a day or two before travel to check on road conditions.